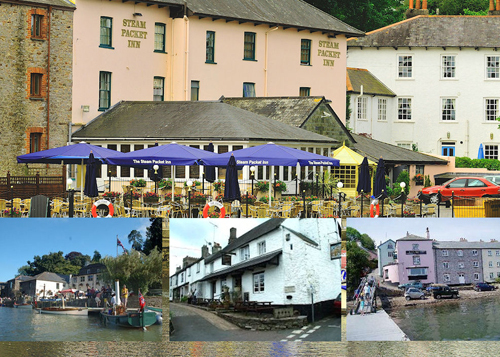 River Rat home tends to be The Steam Packet Inn at the end of the Dart Estuary, as we go down the creek towards Dartmouth you can call on The Maltsters at Bow Creek and the Watermans Arms, next the The Church House Inn at Stoke Gabriel, then Ferry Boat Inn at Dittisham. Finally Dartmouth and many all tradional ale houses await you. Try the The Royal Castle.